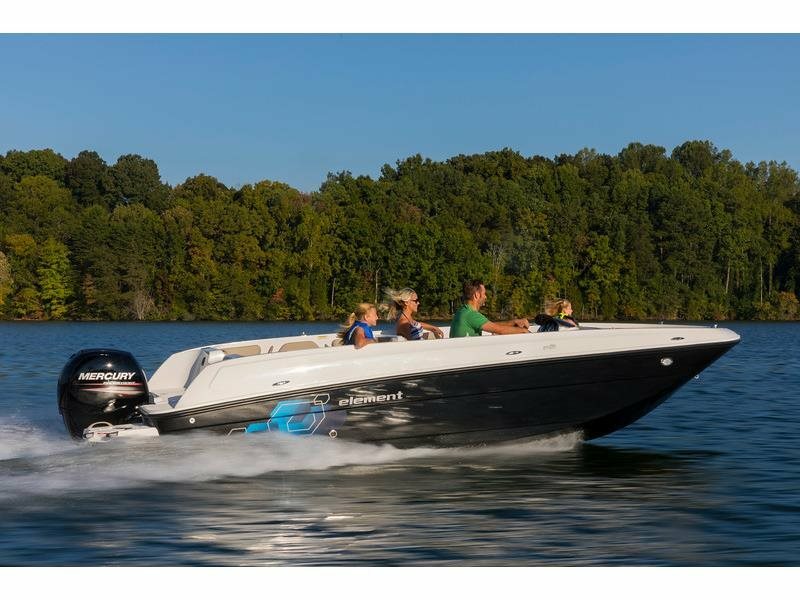 2017 Bayliner Element E21 Exciting New Model! 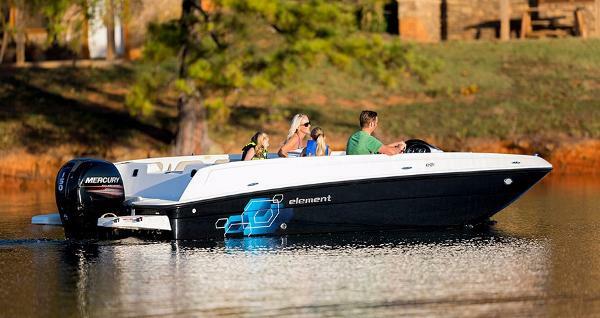 Popular element series now available in a 21 foot boat! 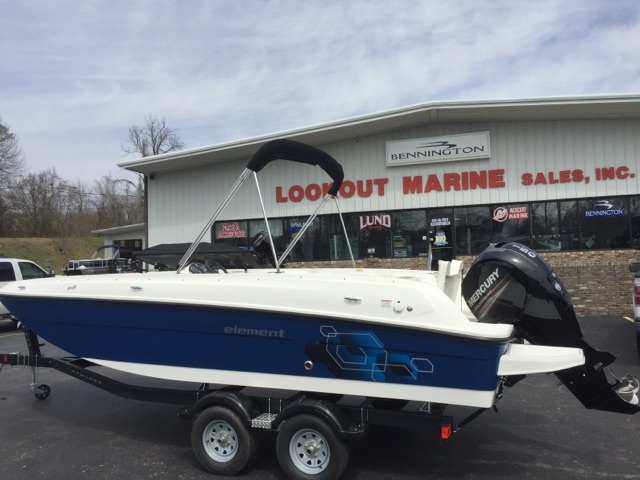 This in-stock boat is loaded with features- Including Mercury 150 HP 4S engine w/hydraulic steering, Bimini Top, Stereo, Cover, Desert Sand Interior, Teak Floor, Bow Filler Cushion, Cockpit Table, Auto Bilge Pump, Ski Tow Bar, and Trim Gauge. The best just got bigger. We designed the revolutionary Element line to be the start of something new. So when youve got the best value on the market, theres nowhere to gobut up. And this 21-foot Element does just thatwith everything people have come to expect from the line, making it bigger and better than ever. This one has really come of age. 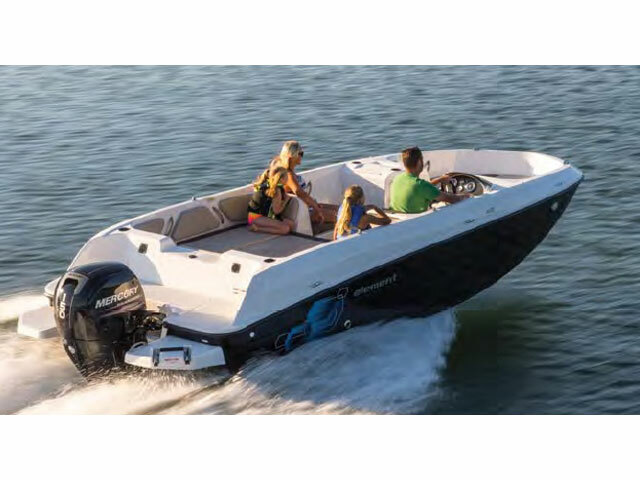 2017 Bayliner Element E21, COMING SOON! 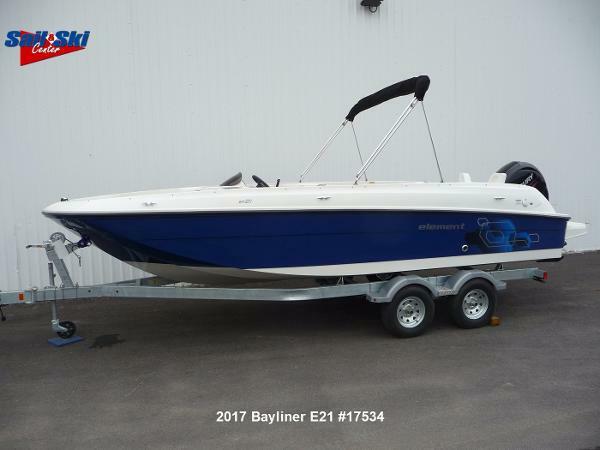 2017 Bayliner Element E21, For a complete listing call us today at 800-875-2620 and select the location nearest you or view Michigan's largest selection of boats direct only at www.wilsonboats.com. 2017 Bayliner Element E21, Looking for the most affordable boat for worry-free days on the water? Let us save you the time. 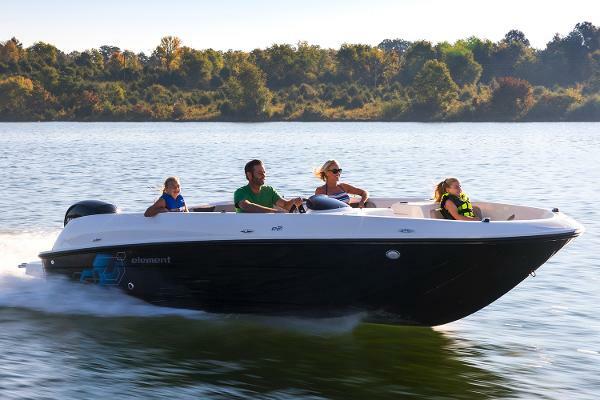 The Element E16, E18, and new E21 are a trio of Bayliner's most innovative designs to-date-and some of the most affordable deck boats on the market. We designed the revolutionary Element line to be the start of something new. They combine a stunningly affordable price, familiar automotive-style handling, and class-leading stability and safety features. Plus, they have the power and comfort features to get you to the fun spots and enjoy every minute. And now, with the addition of the E21, you can choose even more boat for your dollar with this beamier, roomier edition. 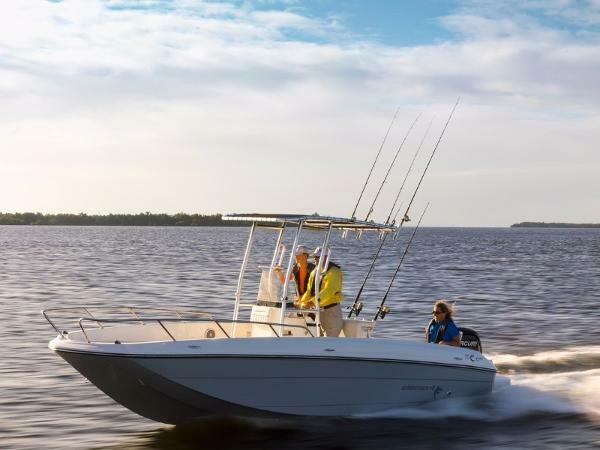 Stretch your legs and your boating dollar like never before!